Tomatoes with Mediterranean vegetables, perfect for 'Pasta all Norma'. Cherry tomatoes, a typical Sicilian speciality, offer a unique taste and aroma to this “Norma” sauce, created according to island culinary tradition. 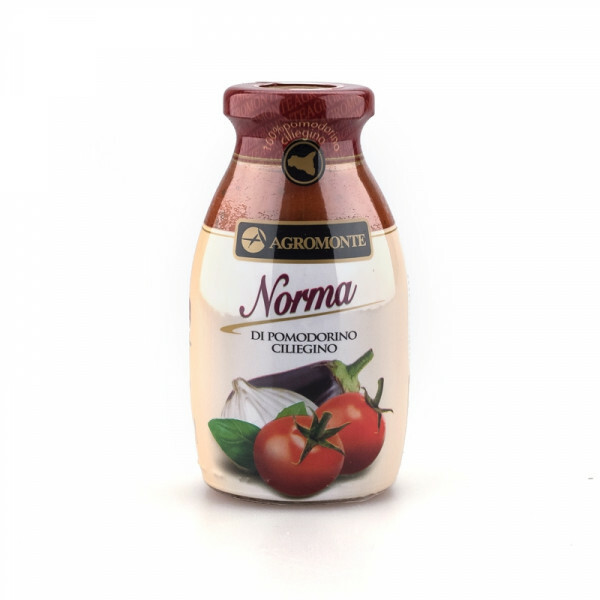 Ideal for seasoning and for making unique pasta dishes, the Agromonte sauces are made using selected raw materials and simple and genuine processing methods. One of the most famous Sicilian recipes in the world, Pasta alla Norma embodies all the flavours of the island, and also contains an abundance of hidden vegetables. 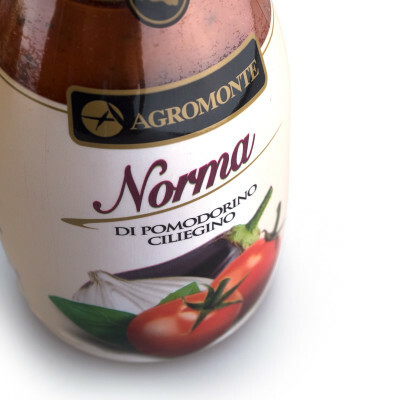 Created according to Italian culinary tradition and using only the finest ingredients, this Norma sauce has a hearty but sweet taste and a long history behind it. Made using selected raw materials and simple and genuine processing methods. Cherry tomato (84,8%), aubergines (10.6%), carrot, onion , basil, extra virgin olive oil, sunflower oil, salt, celery, sugar. CELERY.